One nightmare of every parent is that the child they've raised was switched at birth in the hospital and isn't their offspring. 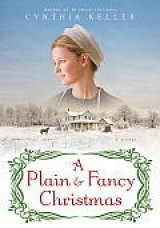 Cynthia Keller ("An Amish Christmas") skillfully and gracefully explores this nightmare in "A Plain & Fancy Christmas" (Ballantine Books, 336 pages, $16.00). Keller presents us with a "clash of cultures," with an Amish girl, Rachel, called Ellie, being raised by a family in New York City, where she's long felt different from her parents and the New York child, also named Rachel, growing up in a Lancaster County, Pennsylvania Amish farm family. Rachel Yoder, widowed three years ago, has moved back with her parents and is raising her daughter, Katie. She's dark haired, unlike her blonde parents and most of the other Amish, but doesn't suspect anything until the wife of the attending physician at her birth sends her a letter explaining how the doctor, now dead, made the error when he delivered the two babies in a Lancaster County hospital 30 years ago. The widow of the doctor had kept the mistake hidden because one more error would have ended her feckless alcoholic husband's medical career. Blonde Rachel (Ellie) Lawrence, 30, is a high-powered account executive in a public relations firm, a job she has come to despise because it leaves too little time for her personal life and because of the people she has to deal with -- including her boss. When Ellie gets a letter from the doctor's widow she decides to make the four-hour journey to Lancaster County to meet Rachel Yoder and her Amish kinfolk. In Lancaster County, Ellie quickly bonds with her Amish family and is eager to learn about the strange new culture she should have learned about from childhood. Keller writes sensitively and with more than a little humor about the ease of Ellie and the natural jealousy of Rachel, as she watches the only mother she's ever known bond with Ellie. Rachel Yoder decides to do what Ellie did and travel to New York with Katie to meet her own biological family. The Lawrences are worlds away from the Amish culture, as both Rachel and Katie quickly discover. The materialism of the culture she finds herself immersed in shocks her. One thing Rachel Yoder discovers in the book-rich Lawrence apartment is that she loves reading and wants to further her education, which is limited to eight grades in the Amish culture. In "An Amish Christmas" (see my review at: http://archives.huntingtonnews.net/columns/101026-kinchen-columnsbookreview.html) Cynthia Keller showed she could write with understanding about the clash of cultures between the Amish and the "English" -- everybody who isn't Amish. With her new Christmas-themed book, Keller shows that her 2010 novel wasn't a fluke. Even if all you know about the Amish -- Anabaptists (Anabaptists required that candidates be able to make their own confessions of faith and so refused baptism to infants. Because of this, Anabaptists were heavily persecuted during the 16th century and into the 17th by both other Protestants and Roman Catholics) -- who fled persecution in Europe to find freedom to live their lives in the United States, comes from the movie "Witness," starring Harrison Ford, you'll find yourself immersed in a world that seems like a fly trapped in amber to those who aren't Amish. As in her first novel, Keller excels in character development to a point where Ellie and Rachel and all the other people in the book are fully developed. 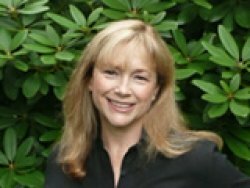 Cynthia Keller is the author of An Amish Christmas. She lives in Connecticut with her husband and two children. Her website: www.cynthiakeller.com Publisher's website: www.ballantinebooks.com.